All services and products provided by Freewell Industry Co Ltd to the user (you) are subject to the terms and conditions set forth in this agreement. The user is expected to obey and adhere to the rules, guidelines, policies, regulations, terms and conditions (whichever is applicable to such services) before you use them. We (Freewell Industry Co Ltd) reserves all right to make changes, amendments and alterations to the website’s (www.freewellgear.com) terms and conditions of use at our discretion any time. Has bugs, viruses, malware, worms, trap doors, Trojan horse software or any other such and similar harmful code and properties. Violates/infringes upon the patents, copyrights, trademarks, service marks, trade secrets or any other proprietary rights for any reason. The website (www.freewellgear.com) will provide user with an account identification and password which enables the user to access and use certain specified portions of the website. Every time the user accesses their account by using the password or identification the user is considered to be authorized to access and use the website in a manner which is consistent with the terms and conditions outlined in this agreement. Also, Freewell Industry Co Ltd does not hold any obligation to investigate the source of any such access or use of the website. 2. By accepting these terms and conditions through the use of the website, you hereby agree that you are over 18 years of age. In case you are under 18 years of age it is advisable to access, browse and use this website under the supervision of your parent or legal guardian. Subject to the terms and conditions stipulated in this agreement, the user is granted a limited, non-exclusive and non-transferrable license for personal use only. It is advised not to use the website as a display for any commercial activity or third party use, unless clearly specified by Freewell Industry Co Ltd. Any violation of this agreement shall result in immediate revocation of the license for use of the website from the user. 3. Unless specifically mentioned by Freewell Industry Co Ltd in advance, all materials, contents, images, text, illustrations, pictures, videos, designs, logos, icons, music/audio clips and any other material which makes the ‘Content’ of this website are intended solely for the purpose of personal, non-commercial use. You (user) should not use the content of this website for non-personal and commercial use for themselves or any other third party in any way and manner. In case the website suspects any misdemeanor from the user’s end regarding violation of any of the terms and conditions of use, the website (www.freewellgear.com) reserves all rights to terminate service, close account and/or cancel orders according to its discretion. The user is advised to resist making any reproductions, distribution, display, sale, lease, rent, transmission, creative derivations, translations, modification, reverse engineering, dissembling, decompiling or any other changes to the contents and services of this website, without the express and written permission from the website. 4. The ‘Content’ of the website (www.freewellgear.com) includes any and all text, images, logos, designs, depictions, illustrations, pictures, videos, music/audio, programs and other such materials that are displayed to the user on the website and are meant for solely personal and non-commercial use. The user is prohibited and warned against the misuse of the Content of this website for non-personal or commercial use. 5. The user is solely responsible for all access and actions on the website using their dedicated username and password. In case the account information is used by any other unauthorized third party, such responsibility will also be of the user. The actions of such third party may include, without limitation, all communications, transmissions and all obligations (including financial) incurred through the user’s account access and use of website. The user is solely responsible to ensure security and discreteness of account log-in information to prevent misuse. In case an unauthorized access to account is detected or suspected by the user, they are advised to contact the website owners immediately and avoid liability for damage. In case the website detects elements of fraudulent activities, such as inaccurate information and details provided, the information will be passed to the relevant fraud prevention agencies. This also gives right to share such information with the concerned law enforcement agencies of the land as well. In case the PayPal address is unconfirmed, the website reserves the right to cancel and refund orders. Users are advised to ensure that the PayPal address and information provided to the website are accurate and true in every manner. Freewell Industry Co Ltd ensures that the description and display of products on the website are as accurate as possible. However, there are still chances of a mistake hence the user is advised to inform us (the website) in case such a mistake is noted. In case the description of the item/product differs from the display on the website users are advised to view our Return Policy. Freewell Industry Co Ltd is not to be held responsible for delay/failure in delivering orders to the user in case the delay/failure is caused by another company (vendor) or any even or circumstance that is beyond our control, including but not exclusively, delivery companies, couriers, airlines, strikes, accidents, natural disasters, etc. 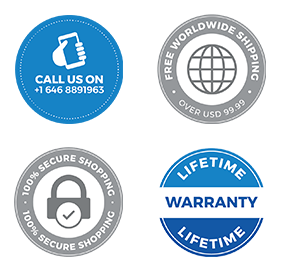 In case the user receives an order which is incomplete or unfulfilled completely then the user is advised to contact the website (www.freewellgear.com) via our email care@freewellgear.com within 7 days of receiving the delivery. In case the user fails to inform the website within 7 days of receiving the order, then any and all of such claims shall be cancelled. It is highly advised to check the contents of the order carefully at the time of delivery itself. The items are returned within 14 days of receipt in an unopened condition and in their original packaging. The user is advised to return items using a suitable method of posting which shows sufficient proof of delivery. The total refund amount is for the value of the products ordered and returned less the cost of postage paid by Freewell Industry Co Ltd (unless free postage/delivery was chosen by the user at the time of placing the order). In such a case, the refund amount will not include postage charges. Faulty items are to be returned within 30 days to get a full refund from the day of receiving the delivery of the order. Return postage is refunded in case the item is found to i.e faulty and the product should be returned using reliable and efficient method. Every return product should have attached its proof of delivery, which is also applicable for return items outside the stipulated 30 day time-window for normal return policy. within 14 days of receiving the order (delivery). In case the user fails to notify the website accordingly any and all claims to return are void and inapplicable. All the prices declare on shipping invoice is only for custom purpose, incase if you have special request please do mention on your order request. Special countries such as Brazil , Indonesia etc where custom rules are special shipping will be via EMS or other standard shipping method. If your order have PREORDER or BACKORDER product we may arrange the shipment in partial shipments , First part of shipment will be as per the shipping method mentioned in your order & 2nd part will be post shipping if you do not need a partial shipment method please do mention in your order.